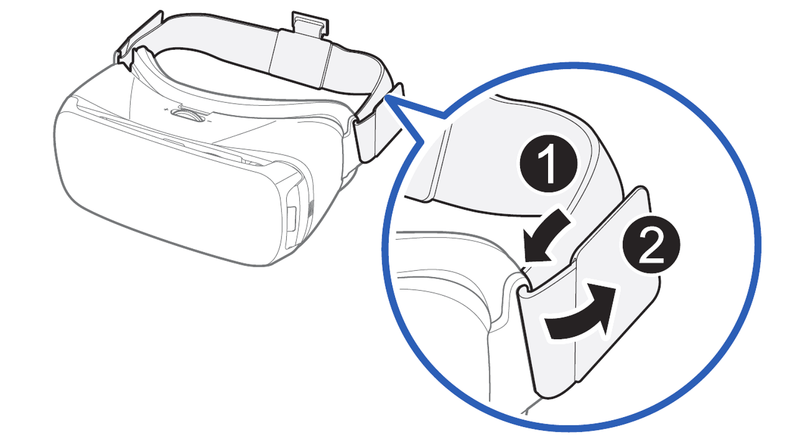 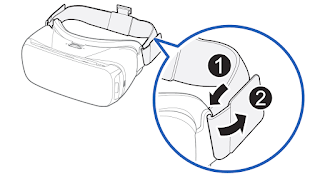 Insert each end of the strap through the main strap loop on the Gear VR (1). 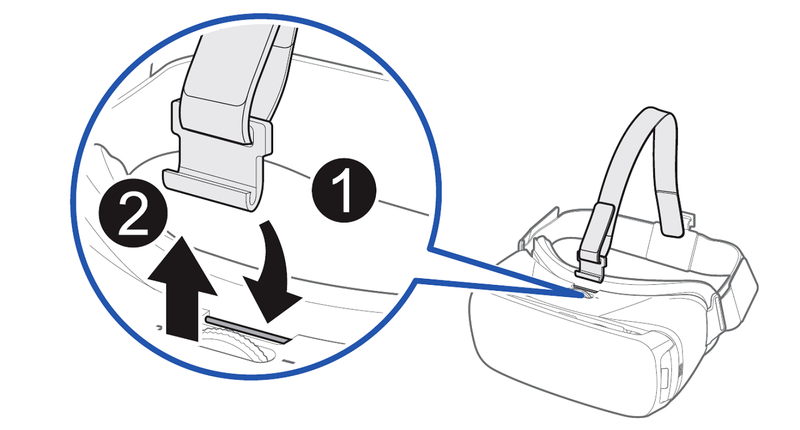 Pull it upward until it locks in place (2). 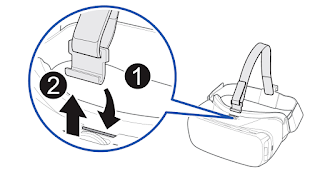 The hook snaps when secured. 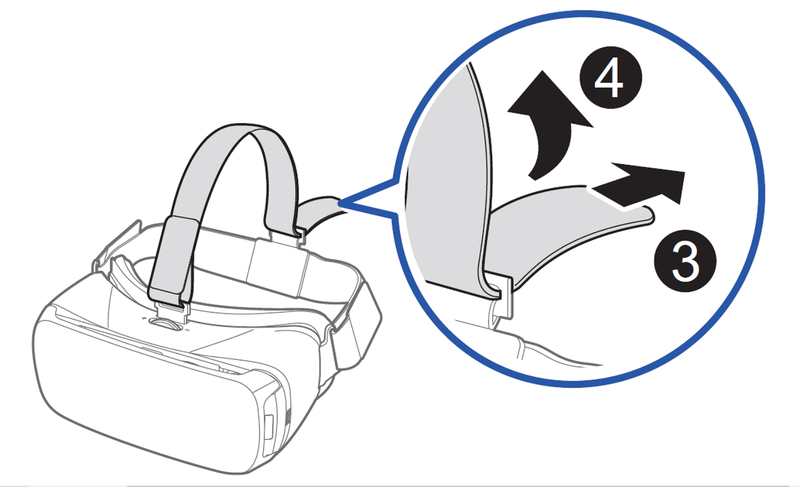 Slide the top head strap through the loop (3) and use the velcro to fasten it (4).